Even Mozart himself could not have imagined a better location. 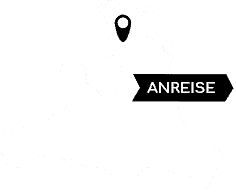 In the center of Salzburg’s old town, surrounded by the most beautiful sights, lies our unique Hotel Weisse Taube. Just 31 rooms are available in our small, yet fine 4-start hotel, with everything we offer aimed at ensuring your enjoyment, well-being and relaxation. Be our guests and enjoy a traditional and unique atmosphere and breathtaking views in the Hotel Weisse Taube. “Silent night, holy night” – Who does not know this world-famous Christmas carol? 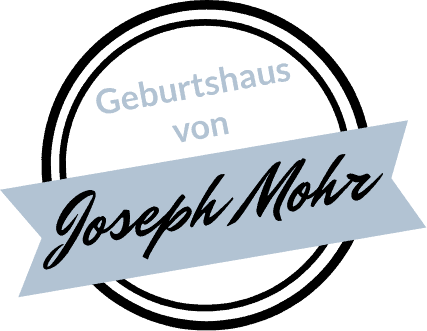 But very few people also know that the author of the song’s lyrics, Joseph Franz Mohr, was most likely born in the poorhouse of the Archdiocese of Salzburg, Kaigasse 9 (today’s Hotel Weisse Taube), on December 11, 1792. His mother, Anna Schoiber, had lived in the home for a period before the family moved to the Salzburg Steingasse, where Joseph grew up. When, long ago, the fortress ‘Hohensalzburg’ was built at the top of the Nonnberg overlooking the city, a smaller piece of land remained unused lower down the hill. The builder, Duke Theodo, gave this as well as another nearby plot to Saint Rupert as a gift, who then founded the monastery of St. Peter and St. Mary’s convent on the Nonnberg around the year 700. The monastery and convent shared ownership of the gifted land on which, over time, residential houses were built. In part to protect against the occasional rising water level of the Salzach river, a quay – in the language of the time a “gehai” – was constructed. The name later evolved into “Kai” which became and has remained the name of the neighboring part of the city to this day. By the year 1365, a building then known as “the house next to the cathedral’s hospital” stood on St. Peter’s part of the land just in front of quay with its name referencing the neighboring building. It first belonged to Provost Peter von Dorenperch, and then Margaret Schawchsgawin, the mother of the pastor Heinrichs zu Gastein. In 1369 the building was again bought by a man of the church and priest to St. Ciriak by the name of Martin. 1371 it became the property of the monastery of St. Peter. In subsequent years, the building remained in private hands of the following owners: 1393 Ulrich der Zelber of Kaprun, 1405 Bartholomaeus the carpenter, 1434 the Panderler family, 1442 Chunrat, 1463 Alerius Goldschmied, 1468 Martin and Elspet Pandler, 1473 Lukas Zeyringer and 1481 Stempfer, both citizens of Salzburg. In 1491 it was bought by the tailor’s guild, in which it remained until 1809. During the later years of this period, the building was used by the Archdiocese of Salzburg to provide housing for the poor. On December 23, 1809, the house passed into the possession of the surgeon Josef Reisenberger who bought it at auction and changed the name to “Gasthaus zum goldenen Frieden”. Later owners included: 1858 Johann Trauner, 1874 Johann Meindl, 1879 Josef and Maria Elsenwenger, 1890 Josef and Maria Pichler, 1894 Johann and Maria Pahl and 1903 Josef and Anna Baumann. After the turn of the century, in 1904, the house was bought by the former city council member and honorary citizen of the city of Salzburg, Josef Haubner, who renamed it “Gasthof Weisse Taube”. In 1929 he gave it to his son Heinrich and his wife Anna, who in 1961 passed it to their own children Sepp and Olga Haubner. The children completely rebuilt the building in 1965, which also repaired damage that had been done by bombs in 1944. In 1992, their daughter Doris, together with her husband Helmut Wollner, also joined in the operation of the hotel. In the spring of 2010, the Wollner family renovated both the reception and the breakfast areas. A key priority during these upgrades was to ensure the preservation of the history and tradition of the hotel. Starting with the takeover of the hotel on January 1, 2014 by Mrs. Christine Gmachl, the hotel was successfully modernized without losing any of its historical charm. Christine Gmachl has many years of experience in the construction, leadership and day-to-day management in the hotel industry. It is this background that helped her to immediately recognize the uniqueness of the small hotel and also explains the importance and care she places on maintaining the traditional flair of the property, despite the addition of modern comforts.